Tulane University is one of the most highly regarded and selective independent research universities in the U.S. Since its founding in 1834, Tulane has invited students and scholars to explore, question, investigate, discover, and create. The strength and diversity of Tulane's instructional programs draw upon highly qualified students from across the university and the world. As a member of the prestigious Association of American Universities and ranked in the top two percent of universities by the Carnegie Foundation for the Advancement of Teaching, Tulane University provides an exceptional environment for teaching and learning. Experience the advantages of a preeminent research university in a small, personal setting. Benefit from superb research resources available in specialized labs, centers, and archives. Explore innovative, interdisciplinary approaches to graduate study. Gain real-world experience in merging academic inquiry with civic engagement. Enjoy the rich cultural tapestry of the city of New Orleans. Only in New Orleans. Only at Tulane. Tulane offers research-oriented graduate programs leading to PhD, MA, and MS degrees through the Schools of Architecture, Business, Law, Liberal Arts, Medicine, Public Health and Tropical Medicine, Science and Engineering, and Social Work. Professional degrees are available at both the master's and doctoral level in the Schools of Architecture, Business, Law, Medicine, Public Health and Tropical Medicine, and Social Work. The School of Professional Advancement, the continuing education division of the university, sponsors a Master of Liberal Arts and a Master of Professional Studies. Joint degrees are available in several fields. Graduate and professional students comprise 36% of Tulane's total enrollment of more than 13,000 students. Read our brochure! For more information on Tulane's PhD programs, click to download our program catalog. Tulane strives to connect its values and mission to the needs of the city of New Orleans, the state, the nation, and the world. Local community involvement is more important than ever as the university participates in the rebirth of New Orleans. Faculty and staff lend their expertise to rebuilding efforts and students gain real-world experience while putting their skills to use in the local community. Opportunities for international research and practice abound. 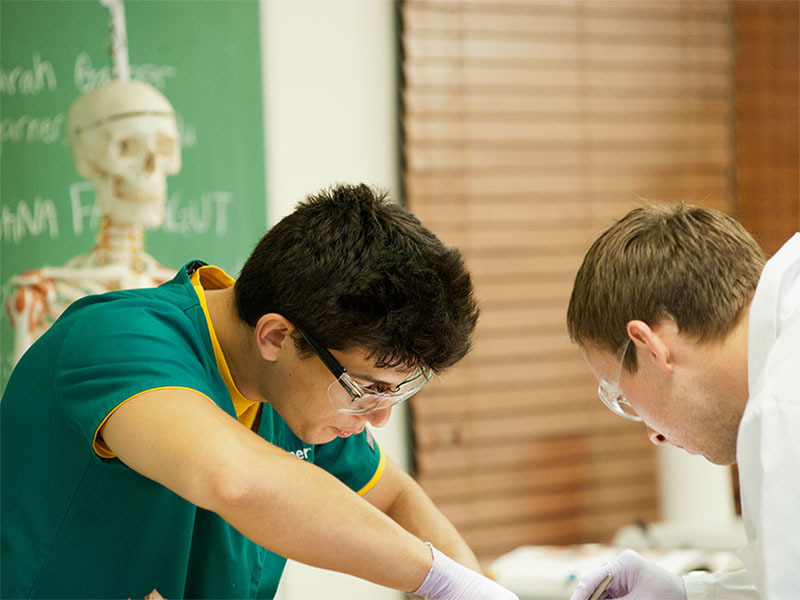 Graduate studies at Tulane are administered by the respective schools. Each school or degree program has its own requirements and standards for admission, as well as application procedures. Consult with the program(s) in which you are interested for complete information. Most graduate programs require applicants to take the General Test of the Graduate Record Examination (GRE). Certain departments also require a Subject Test. Tests are taken at applicants' expense. Tulane's graduate programs award their own scholarships, fellowships, and assistantships. Contact the graduate programs for information on the availability of funds and how to apply. Most doctoral students receive a fellowship or assistantship consisting of a stipend plus a tuition waiver. Stipends are competitive and the cost of living in New Orleans is reasonable. Tulane's Financial Aid Office calculates a student's eligibility for any additional federal aid to supplement awards made by the graduate programs. See the Introduction to Graduate Student Financial Aid at Tulane and A Comprehensive Guide for Graduate Financial Aid for more details. Please note that federal aid decisions for students seeking law degrees are made at the Law Financial Aid Office and those for medical and public health students are made at the Health Sciences Center Financial Aid Office. Tuition rates at Tulane for graduate study vary by degree program. Consult with Accounts Receivable or the schools for details. In addition to fulfilling other application requirements, international applicants must present satisfactory evidence of sufficient English proficiency. Proficiency is typically demonstrated through a minimum score on the Test of English as a Foreign Language (TOEFL) or the International English Language Testing System (IELTS). Be sure to check with your program of interest for information on the required minimum test scores. An applicant whose English proficiency is unproven or insufficient may be admitted to Tulane with probationary status. The student may be required to prove proficiency by earning acceptable test scores, or may be required to register for less than a full graduate program and to take English as a Second Language instruction without credit until proficiency is certified. Contact the schools for admission standards specific to international applicants. Once admitted, the Office of International Students and Scholars provides visa information, housing information, cross-cultural programs, and advising for international students. About 15% of Tulane's graduate and professional students are international. University housing for graduate students is limited and is allotted on a first come, first served basis. Graduate students and families can apply to live at the Papillon Apartments in the Lower Garden District or the Deming Pavilion on Tulane's health sciences campus downtown. There is usually a waiting list for these facilities, so applications should be submitted as soon as possible after you decide to attend Tulane. Consult with Tulane's Office of Housing and Residential Life for more information. To locate off-campus housing, you should plan to arrive in New Orleans at least two weeks prior to the start of the semester or sooner, if possible. The uptown campus is in a residential area and a variety of accommodations are usually available, though less expensive housing is typically found a few miles from campus. Public transportation, including the St. Charles Avenue streetcar and bus lines, connects the campus with the Garden District, the Central Business District, and the French Quarter. Tulane's Office of Off-Campus Housing provides pointers for when and where to find a place to live and it also sponsors an Off-Campus Housing Resource Expo each fall and spring semester. The Off-Campus Residents' Association (OCRA) sponsors a Facebook group with posts about roommates, off-campus properties, and used furniture. The Off-Campus Housing Guide for international students and scholars is of use to all students looking for off-campus housing. Crime maps are available for Orleans Parish and Jefferson Parish. Graduate meal plans are available for the uptown and downtown campuses. Famed for its history, music and cuisine, New Orleans is one of the worlds most extraordinary cities. Star-studded events like Mardi Gras and Jazz Fest draw thousands of visitors to the city each year. Unique neighborhoods reflect the city's French, Spanish, and Caribbean roots. World-class museums display renowned artworks and artifacts. Shopping options range from vintage shops and antique stores to high-end boutiques and galleries. Sports fans can find something to cheer for year-round with New Orleans' many professional teams. The educational experience at Tulane is interwoven with this rich cultural tapestry. Information about visiting New Orleans is available online.